Hi, everyone. 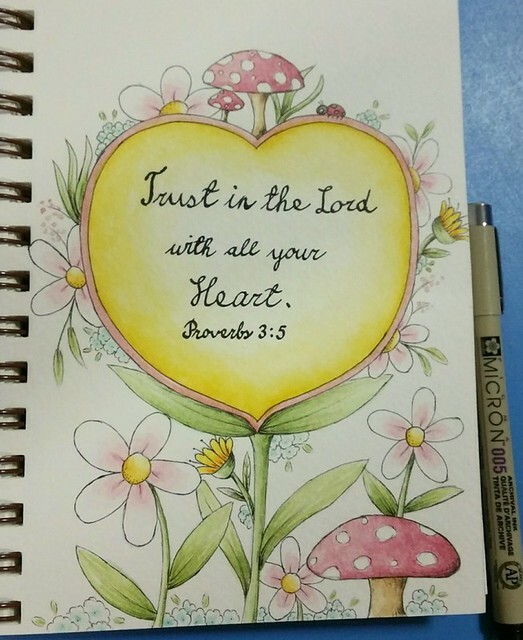 It's been some time since I blog about my watercoloring projects. 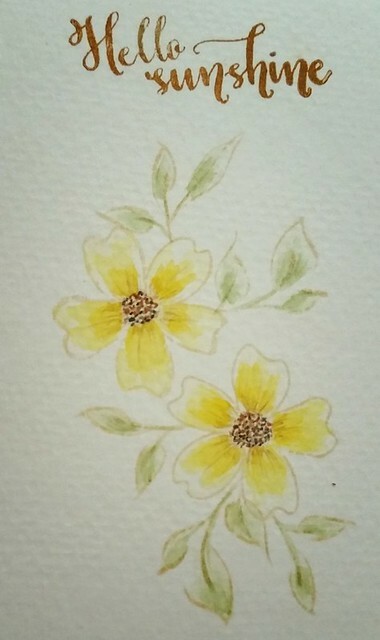 Though I have not blog, I still watercolor occasionally. Here's what I have watercolor. 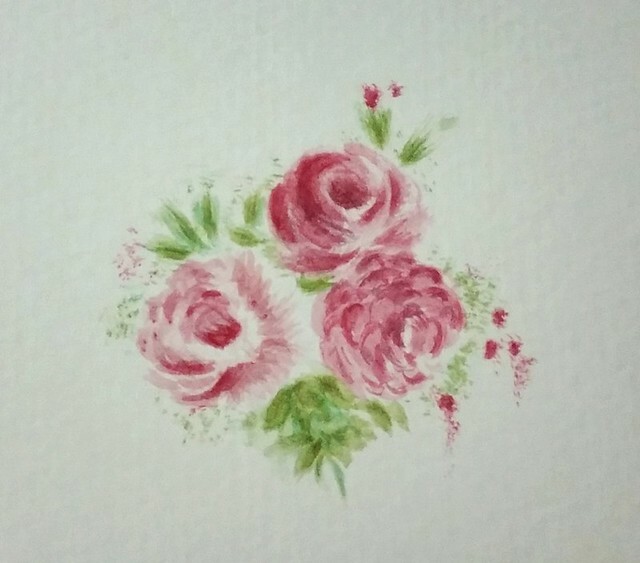 Inspired by my friend, I drew and watercolor this set of roses from scratch. But I think I made a mistake in the bunch of leaves at the bottom. LOL. My second set of watercolor floral is done on stamped image. The flowers and leaves are from 2 different stamp sets. I stamped them with distress ink so they are more subtle. I sketch this chapel in Fort Cornwallis, Penang in June. 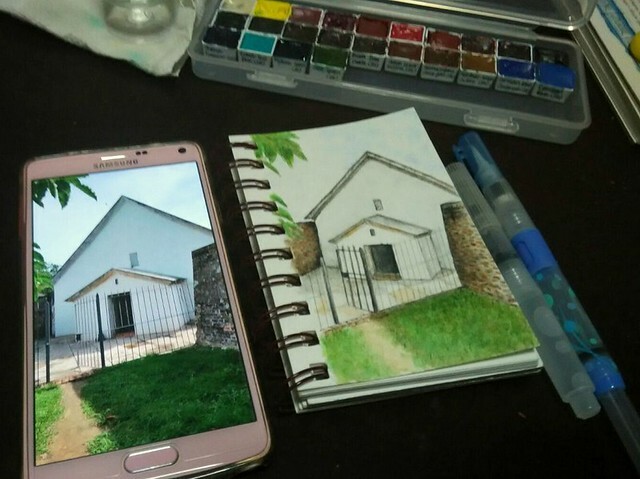 But I only watercolor it recently. Good thing I took a picture of the chapel. Not 100% alike but I guess it will do for now. My first "urban sketching" piece. I hope to learn about urban sketching and join the local urban sketchers group. A goal I set and hope to achieve before I grow too old to walk. LOL. Oh.. Have I shared that lately I dive into the calligraphy world? Yap.. I learnt the foundational hand writing in secondary school. Recently I attended a modern calligraphy class with my dear friend. And I started writing and practising. Will share more in next post. Thanks for dropping by. Hope I didn't bore anyone down. Have fun.